Three months in and this has to be the most thorough I've ever been in testing a product. 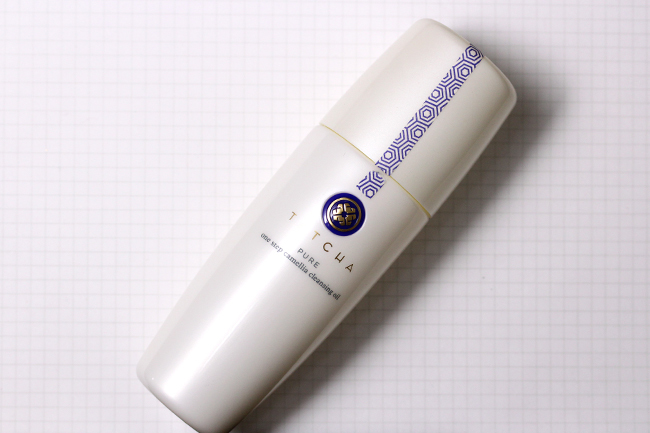 In July, I eschewed my usual robust routine (oil cleanser, regular cleanser, toner, serum, moisturizer, eye cream) in favor of the streamlined Tatcha Beauty Ritual: Pure, Polish, Radiant, and Supple – the four steps to achieving beautiful skin. Everything about Tatcha - from its origin to its execution - feels exquisite, and I think that's a great strength for the company. Ingredients matter, I'm sure, but I personally believe placebo effect is strong when it comes to skincare. If something makes you feel good (and when something is pretty to look at, the battle is half won), chances are it's going to work too. The One Step Camelia Cleansing Oil ($48 for 150ml/5.1 fl oz) beats my old HG RMK Cleansing Balm. It's lightweight for cleansing oils (for reference, Shu Uemura Premium A/I is heavy) and gets everything off without stripping moisture. I gauge that I have less than a quarter left, since I can hear air coming out of the pump when I use it now. Since I'm currently on a skincare ban, I dread to hear the squirt of the last drop. Tatcha has three offerings of this powder according to skin type, and the Classic Rice Enzyme Powder ($65 for 60g/2.1 oz) is for combination skin. It's essentially a very fine exfoliator, so you can use it everyday instead of a harsher one once per week, which may damage your skin. If you're not wearing makeup, this doubles as a 2-in-1 cleanser. To use, you wet your face and hands and pour a dime size amount into your palm. Rub your hands together to create a lather, then work onto face. Leave it on for 15 seconds before rinsing off. I'm actually very grateful for this. If you've been reading Messy Wands for some time, you'll remember that I have a flaky nose. This solves that problem. The Deep Brightening Serum ($150 for 30ml/1 fl oz) provides just a tinge of moisture while working as a radiance serum. When I was communicating with the PR rep, she mentioned that this also combats hyperpigmentation and lightens acne scars, and while it sounds way too good to be true, I actually agree with her (seriously, I'm surprised myself). Whatever scars I had are not completely gone, but it's fading. (Time for the disclaimer: So, even before I used this it's not like I had a gash or anything, but I had some acne scars that were basically one or two tones darker than the rest of my face. They are now the same tone as the skin around it. Finally, my favorite step! The Moisture Rich Silk Cream ($150 for 50ml/1.7 oz) is a gel-cream moisturizer that doubles as a makeup primer. The cream is lightweight and moisturizing without being oily. I remember when I first used this, it felt stickier than what I was accustomed to. Thank goodness I was hell bent on trying out the ritual, or I would have stopped using it right then. It took a few more applications for me to get used to the stickiness. Of course, by now I don't even feel it anymore. Also, I hate to be all gushy but the primer claim is true! My blushes last way longer over this cream than my other moisturizers. And since I've stopped using foundation and don't like primers, it helps to have something for my blushes to adhere to. As of writing, I've used the ritual twice a day exclusively for the past three months. The rate of use for each product varies. I'm down to the last quarter for the cleansing oil, 1/3 of the brightening serum, half of the silk cream, and still have at least three quarters of the rice enzyme powder. Currently, my skin is literally the best it has ever been. I am at a place where I actually don't want to apply foundation because it will make my skin look worse. In the below picture, all I have on is concealer under my eyes and around my nose. Oh, and drawn on eyebrows of course. The thing that makes me so terribly fond of Tatcha is they sweat the small stuff. On their website, under each product's "How to Use" tab is a short video that shows you how to apply the product (I mean, sure you can just slap it on to your face, but I like knowing how a careful hand would approach it). When you purchase something, in addition to an exquisitely wrapped package, you'll receive a handwritten thank you note from one of the team – and I'd like to stress it's not just because mine was a PR sample. I purchased the Dewy Skin Mist from them (with my personal email) prior to reaching out, and I was accorded the same personalized treatment. 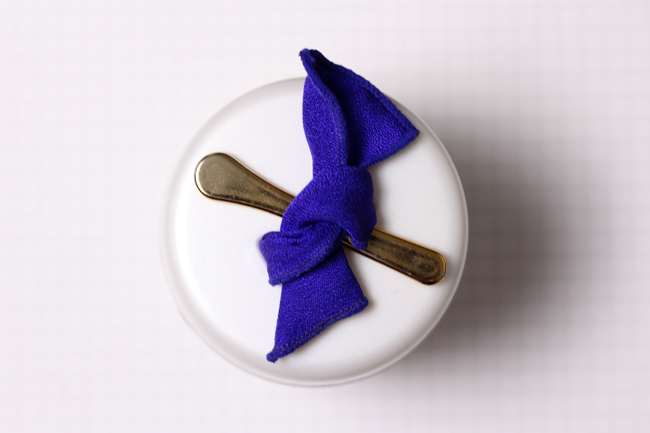 Above all, it's details like this spoon-holding ribbon (as opposed to no holder at all à la Cle de Peau La Creme) that makes me feel the brand cares about the user. My only complaint is I wish they would put their full ingredient lists on the website instead of just the actives. I threw away the boxes because I assumed this information would be online, but I wasn't able to find it. 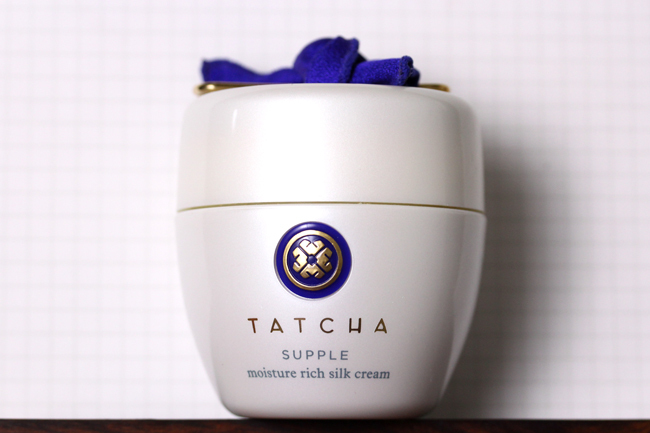 Tatcha is exclusively available at Barney's New York, Beverly Hills, and San Francisco. Do not fret if you're not close to any of those locations, you get free US shipping if you purchase from their website. For those who are hesitant to take the plunge, they offer a generous sample kit for $49. Skincare reviews are tricky because it's difficult to pare down the words to make for a concise but comprehensive post. So, be sure to check out Cute and Mundane and theNotice for additional thoughts and an in-depth discussion on ingredients. That skincare sounds SO amazing! I always love reading about skincare :) It's the best thing ever to have a nice base for make up! It's the most important thing ever! Skincare is my number one priority, but writing about it can be tedious since I want to put a million disclaimers in it. Its sounds amazing! I currently mix'n'match products, most of them from Guerlain and for now Im happy but I wouldnt mind to try this powder- sounds great! I used Guerlain for some time too! Loved their stuff. Which product dried out your skin, Claire? The cream was not moisturizing enough used together with the serum. I need to use a more moisturizing cream on top of the serum. I've read wonderful things about Tatcha before - but wow, foundation-free skin worthy? Sounds even more amazing. But the price tag - gasp! I'm still partial to your gorgeous long hair, but you always look amazing no matter what. :) Lovely skin! I'm still waiting to use up my skincare before I buy new things.. but Tatcha is high on my list. I tried their powder cleanser and loved it! I was sad when my samples were all gone. I am too! Turns out chopping off my hair doesn't give me magic styling fingers. On the best of days, I look like a boy who doesn't know how to manage his (her?) hair. I just updated the post! The products don't last only three months, not across the board anyway. I judge that I have 2-3 weeks to go with my cleansing oil, a month+ for the serum, 2-3 more months for the silk cream (2 if I use more for winter), and I can't even gauge for the powder since there's still so much! I know it's definitely still expensive, but I wanted to clarify that. As high-end skincares go, the price is still more stomach-able than say, La Mer at $500 per jar. Beautiful skin! That is all I need to say. Excellent review. Can you please comment on the scent of these products? I know you use concealer in the pic, but still.. Wow, your skin looks so flawless! I been wanting to try this brand out, but I live in Europe and the shipping fee to here is so ridiculously expensive. But I am very much intrigued now! Sorry to hear that! I hope that one day they expand to other countries or have it stocked at international channels like Zuneta so you can get your hands on it. Wow, this sounds almost too good to be true! Do you have a review for the Dewy Skin Mist as well? Maybe next week? :P I have to be psyched up to write about skin/body care because it's so subjective. In a nutshell, it's a skin mist I actually *use* (almost half gone now T_T I have Shu Uemura mists that are basically still full after 2 years). It doesn't replace moisturizer, especially in the winter months (though I've used it for that purpose in a pinch during summer), but it feels hydrating. I remember reading that a makeup artist spritzes it on to prep the skin before foundation and I've done that as well. Your skincare post is as elegant and streamlined as TATCHA's own line! I have been following this ritual every night since spring, and my skin is in great shape too. To those who may balk at the perceived price, please remember that with this line you only need the same four products morning and night. My sole issue with TATCHA is that there is no SPF, and it's such a hassle to deal with both sunscreen and moisturizer. I prefer a two-in-one, like Omorovicza's BB cream. Also, now that the days are turning colder, I notice that my skin is feeling a bit dry. For that reason, I'm looking more at Omorovicza now. Sulwhasoo's waters and Snowise BB cream are on my radar too, though I want more information on this Korean line before I make the jump. I'm actually not that peeved over SPF. I always thought you could never get enough of it in 2-in-1 moisturizers so I use a separate product anyway. Good luck with the Korean brands! Can't wait to hear what you think. Which sunscreen do you use? No matter what skin care I use I always feel that the sunscreen messes it up; always makes me break out :-/. It's been a sort of necessary-evil. I got a small sample set from a Facebook thing that they did and I was so surprised they took the time to write a handwritten message on something so minimal in cost. I've never used an oil cleanser but I did like this one and I think I may go ahead and make some purchases. The rice powder though...I have to think about because both the regular and the deep cleanse made me break out. I think my skin generally dislikes manual exfoliation from any brand. I can't be out in public with messy skin. lol In any case I really love the whole Tatcha aesthetic and I'd like to try more of their products. It could be talc being the first ingredient, since you are adding more powder to you face rather than getting rid of all makeup like product off your face and water can only do so much since talc is a little bit water resistant. I have some samples of these products to try to and while I've only gotten around to trying the Classic Rice Enzyme Powder (I LOVE it), I'm really excited about trying everything else, as I've heard nothing but good things about them! This looks fantastic! Your skin is drop-dead gorgeous! I love the details like the holder & the "How To" videos. I agree with you, it is so nice when companies care enough to pay attention to little details like that. I am most intrigued by the Rice Enzyme powder. My skin responds well to very fine particles in a physical exfoliant. The aesthetics of the packaging are lovely to look at. I love Tatcha! I'm so glad they're getting more attention :) I do wish their cream and serum were more moisturizing, and I hope they'll come out with an eye cream someday as well. But their gentle exfoliator works wonders for my pores and their cleansing oil is so luxe feeling :) Glad you enjoy it! omg yes to the eye cream. I heard through the grapevine (or saw a mention on facebook?) that one is in the works, though! You are gorgeous! And I LOVE your hair cut, so chic, it matches your style perfectly!!! 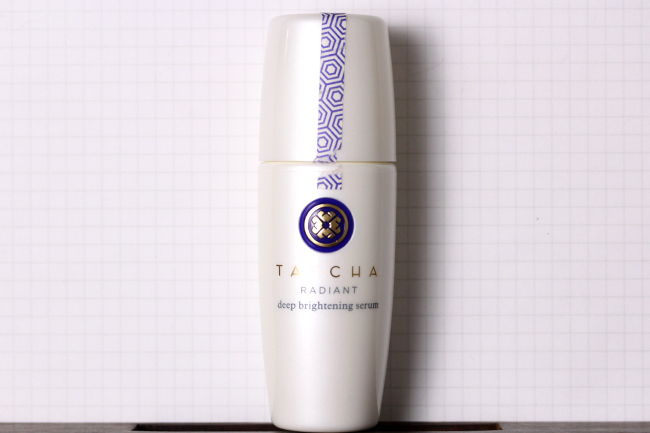 Tatcha is also one of my favorites skin care lines, I enjoy their cleansing oil and the powder, and I just got the serum, will see how it works... What do you use as a sunscreen?? I use Diorsnow UV Shield, but I really want to switch to something that is all mineral! That's exactly what I'm looking for...:) A good mineral sunscreen. Let us know if you find something good!!! Thanks for the shoutout Xiao :) The camellia oil is really wonderful for cleansing makeup! Your face looks amazing! The price point is a bit steeper than I'm used to, but the trial set is very reasonably priced (and thus bad for my wallet) and the packaging is gorgeous. the trial set actually really is! I also love Tatcha products. In my experience they last at least 2 months, and the Camelia oil even longer. I am always on the look-out for good Asian skincare products. They are usually very effective, and the technology frequently more advanced than products from the US or Europe. Do you have any experience with Hada Lobo? I have read that their Super Hyaluronic Acid line is excellent, but I have not read many reviews. Your blog is equally informative and enjoyable. Thanks for a great read! Hello, I started reading your blog a couple of week ago and I really enjoy your writing style. I wanted to thank you for this post because you introduced me to Tatcha and my skin is loving their products. Their website is beautiful and very informative and their customer service is exceptional and super friendly, btw, I told them that I discovered them through your blog and they said to say Hi and that they loved your blog as well. I agree that skincare is more important than makeup because great skin makes makeup even prettier. 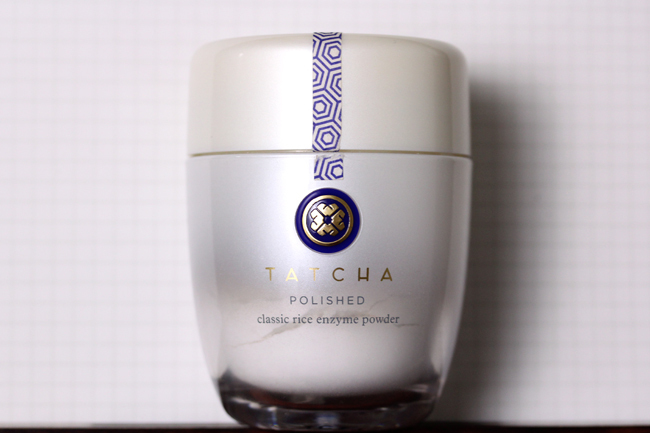 I gravitate towards products that do not contain harmful substances and that are effective and Tatcha fits that bill. I bought the Camellia cleansing oil and the Deep exfoliating powder, but after trying the samples of the serum and moisturizer I wanted them as well. I contacted their Customer Service and Alexandra helped me get them with the blotting powders for the price of the Ritual, so I saved on the individual costs. They are awesome. Thank you and have a great Holiday season.